Ussery Design & Construction is looking for a multi-skilled laborer for carpentry, painting, and general handyman work. No licensing required but must have 3 references. We build for you as we would build for ourselves, with quality and integrity. Ussery Design & Construction LLC is your all-in-one provider of home building and remodeling services, as well as handyman work and home repairs. With a passion for efficiency, you can expect the same dedication and quality workmanship that we would deliver for ourselves. Contact us today regarding your home improvement needs. A house isn’t truly a home until you make it one. And, whether that means overhauling your kitchen and updating your bathrooms, or it just means slapping on a new coat of paint, Ussery Design & Construction LLC is here to help. We’ve helped homeowners throughout the area create their ideal living space through remodeling, improvements, renovations and even new home construction in Darlington, SC. Our mission is to deliver exceptional workmanship to every project we take on, no matter what its scope. Count on us to help you create the home you’ll be happy to grow old in. 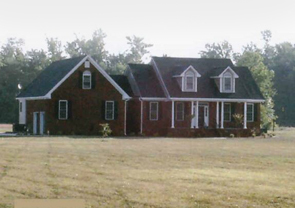 One of our specialties is home design in Darlington, SC. This means working with our clients to plan their dream home, then build it to bring that dream to life! We’re experienced builders with decades of satisfied customers behind us and numerous unique homes to show for it. Beyond home building, we also plan and construct decks and take pride in being an ADA-compliant builder for accessibility upgrades. Need a home addition? We can tackle that too! We want to be your unquestioned answer for any and all home improvement, remodeling, upgrade and building projects! Our business is EPA Certified for green and sustainable building practices. We’re fully licensed, bonded and insured in the State of South Carolina. We take emergency calls after hours for urgent handyman jobs. Our business has been locally-owned and –operated since 2005. We’re ready to provide you with honest upfront pricing on any of the work we do. From full-scale remodeling to simple fixes here and there, we’re ready to help you transform your home into the vision of perfection you know it can be. Contact us today for service.